Secure file shredder for Mac. Is there a better alternative to DoYourData File Eraser? 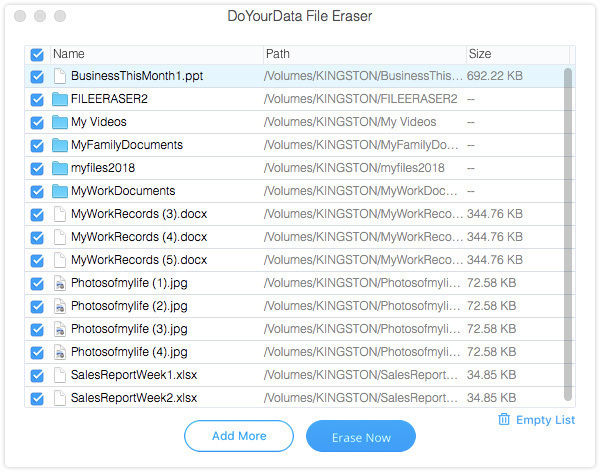 Is DoYourData File Eraser really the best app in Storage category? 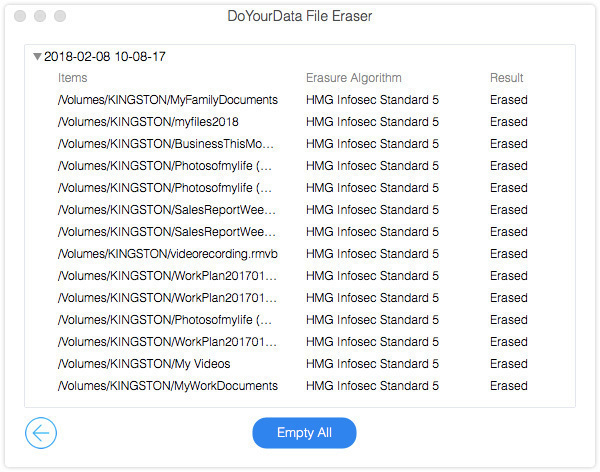 Will DoYourData File Eraser work good on macOS 10.13.4? 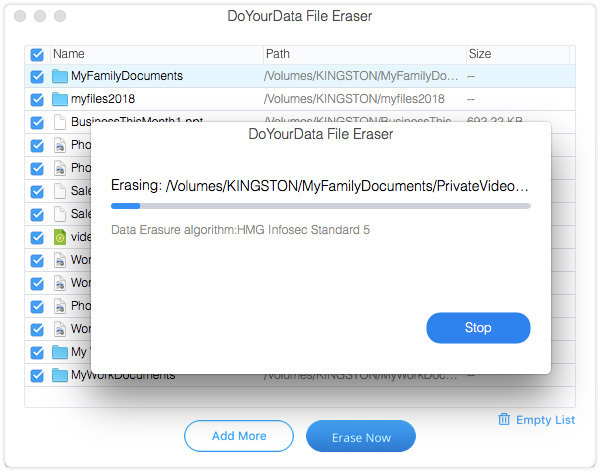 DoYourData File Eraser for Mac can help you securely and permanently shred files/folders from Mac computer, SSD, HDD, USB flash drive, memory card, digital camera and other storage device under Mac OS, making data recovery impossible. Permanently shred files from Mac computer, Mac hard drive. Permanently erase files from external hard drive, USB flash drive, memory card, and digital camera, etc. Improved file erasure from external device. 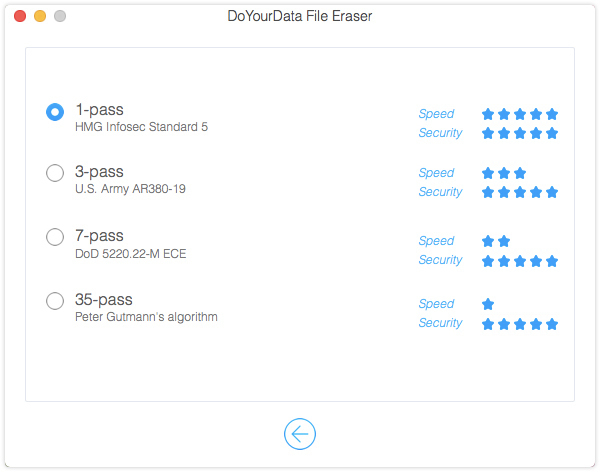 DoYourData File Eraser needs a rating. Be the first to rate this app and get the discussion started! Certified data erasure algorithms including HMG Infosec Standard 5 (1 pass); U.S. Army AR380-19 (3 passes); DOD 5220.22-M ECE (7 passes); Peter Gutmann's algorithm (35 passes). 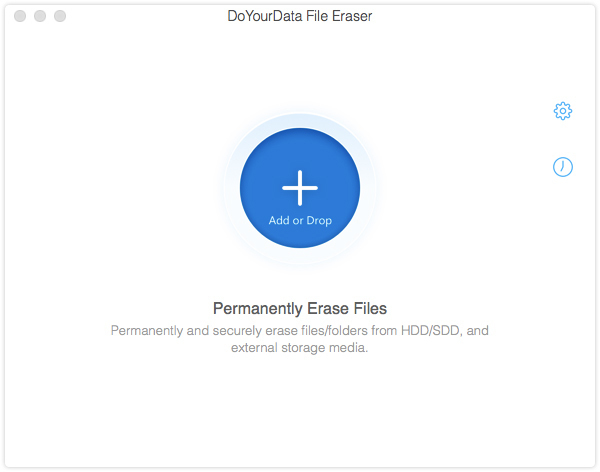 Once the files or folders are erased by DoYourData File Eraser for Mac, they are lost forever, can’t be recovered by any data recovery software.